Michael M. Oswalt joined the NIU College of Law in 2013 and teaches torts, labor law, employment law, workers’ compensation and seminars on emerging issues in employment discrimination and worker organizing. 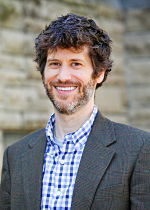 Michael’s research focuses on the relationship between law and activism, particularly how legal and other regimes transform the possibilities for engagement in civic and institutional arenas. Since coming to NIU, Michael’s full-length articles have been published by the California Law Review, the Cardozo Law Review and the UC Irvine Law Review. His recent work includes an empirical study of collaborations between workers, employers and public officials to enforce employment protections that will appear in the Berkeley Journal of Employment and Labor Law (with César F. Rosado Marzán). In 2019, an article exploring the role of emotions in regulating workplace coercion will be published by the UC Davis Law Review. An essay on voting procedures in union representation elections will be included in the book, Reviving American Labor for a 21st Century Economy (Richard Bales & Charlotte Garden, eds. ), published by Cambridge University Press. Michael graduated from Haverford College and has degrees in law and theology from Duke University. At Duke he was a member of the Duke Law Journal and served as notes editor for the Duke Journal of Gender Law and Policy. After law school he clerked on the United States Second Circuit Court of Appeals for Judge, now Justice, Sonia Sotomayor. Michael previously worked for the Service Employees International Union where he provided counsel to a variety of low wage worker campaigns. You can follow Michael on Twitter @MichaelMOswalt. Searching for the “New Labor Law,” The Regulatory Review (May 8, 2018) (with César Rosado-Marzán). When "Restructuring" Weakens Enforcement, OnLabor (April 10, 2018) (with César Rosado-Marzán). On Paternity Leave, HuffPost (June 14, 2017). My View: Trump's Big Mistake at the Department of Labor, Rockford Register Star (Jan. 14, 2017). Improvisation at Work: A Labor Day Reflection, HuffPost (Sept. 5, 2016). Bust Out without Breaking Up, 25 New Labor F. 21 (Winter 2016). When Courts Stop Strikes Before They Start: Why Workers and the Public Lose, HuffPost (Feb. 13, 2014). Labor's New Strike-First Strategy, Chicago Sun-Times (Sep. 10, 2013).